It is the capital of the Costa Blanca and a place that is attracted by many national and international tourists. Many of them decide to buy a house to enjoy the city year after year. 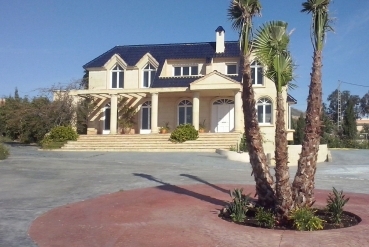 We refer to the great properties for sale in Alicante. Our real estate agency offers you the opportunity to organize your family holidays or enjoy a well-deserved retirement with your loved ones. Alicante encompasses everything you can ask of a provincial capital. The city has different leisure areas to have fun with your family friends. In addition, Alicante is structured in such a way that it is quick and easy to move around the city. Thanks to its diverse public transport, you can enjoy the most popular areas of the capital of the Costa Blanca. But one of the main advantages of betting on one of the properties for sale offered by Casas Espania, is to live a few steps from the beach. In summer, you can move to the sea in just a few steps. In this way, you will not have to take a vehicle if you prefer. What weather will the properties for sale in Alicante have? One of the many advantages you will acquire in our properties for sale in Alicante will be its climate. Alicante has one of the best temperatures in the entire province. Its location on the map allows it to support more than 2,800 hours of sunshine per year, as corroborated by expert analysts in this area. Thanks to its proximity to the sea and the African continent, the winters are pleasant and the summers are as warm as possible. Thanks to its wonderful temperatures, Alicante is a lively city where people love to go out on the streets, stroll and dine in wonderful restaurants at the foot of the Mediterranean Sea. If we explain all the benefits of living in one of our properties for sale in Alicante we would make you lose the charm and the discovery of an incredible city on the Costa Blanca. For this reason, from Casas Espania we want you to discover for yourself all the advantages offered by our homes, such as Alicante.